This average rent infographic was created by Brookline Pads using rental data that was pulled from the Boston Pads database of over 156,000 Boston apartments, 500,000+ property photos, and 8,000+ videos. Average rent prices were calculated from 845 Brighton apartments that either are currently available or were rented within the last year. The real time vacancy rate was calculated by adding the currently available apartments and those that will be available in the coming months, then dividing that by the number of all Brighton apartments in the database. The population and median household income data was pulled directly from the US Census Bureau. Average prices in Brighton are similar to the averages found in neighboring Allston. Average rent prices in Allston fell within $100 of Brighton for studios, 1-bedroom apartments, and 2-bedroom apartments. Brighton is a bit more expensive than Allston if you are looking to rent a 5-bedroom apartment – average rents for these units are $500 more per month when compared to Allston. When compared to the neighboring city of Cambridge, rent prices are much lower in Brighton. Average rent prices in Cambridge for 1-bedroom apartments are $300 more per month than in Brighton. The difference jumps to $700 more per month for a 3-bedroom, and $800 more per month for a 4-bedroom apartment. For those living on a budget, Brighton is a great option for them to live in the city of Boston without breaking the bank. According to the averages, Brighton is one of the more affordable neighborhoods out of the 22 areas sampled. The neighborhood ranks 8th lowest for studio apartments, 7th lowest for 1-bedroom apartments, and 7th lowest for 3-bedroom apartments. Brighton Pads is powered by the Boston Pads database. All of this data and more is readily accessible for landlords and renters alike with the help of a courteous and professional phone staff and licensed real estate agents who answer calls 7 days a week. Landlords can call at any time to get a snapshot of the rental market for an area, including current prices of apartments of any neighborhood, vacancy rates, and more. Boston Pads uses this data to help local landlords maximize their rental income and minimize vacancies. It is this local-focused and data-driven approach that has helped Boston Pads build their network to over 16,000 Boston area landlords. 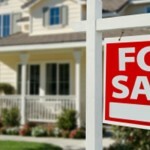 Landlords who list with Boston Pads ensure themselves the best marketing coverage from one source. 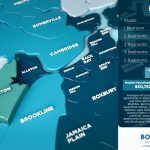 Listings on Boston Pads are syndicated to almost all the national platforms like Trulia, Craiglist, and Zillow, over 80 locally optimized apartment websites, and more than 100 local social media pages on Facebook, Twitter, and YouTube. By combining the most comprehensive marketing coverage with the latest data, Boston Pads has positioned itself as the real estate and information technology leader in New England. Their platform is scalable and adaptable to any market, and can be used by any agency or landlord looking to gain access to tools to help gain an edge on their competition. 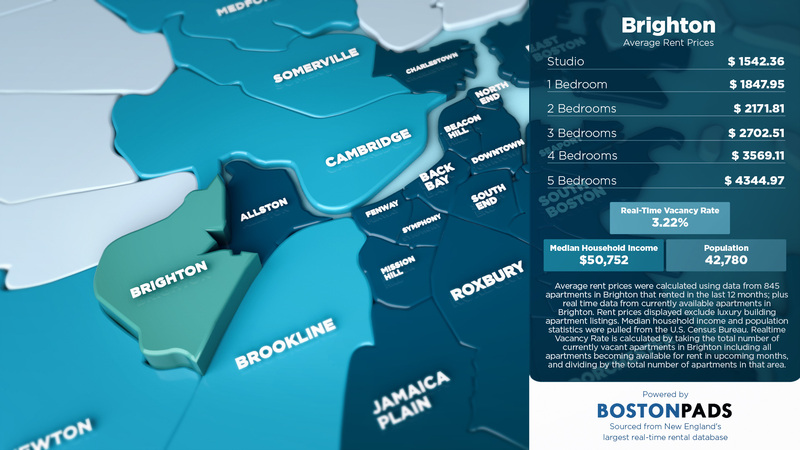 To see the average prices for more towns in the Greater Boston Area, check out a Boston Pads infographic on average rent prices in Boston by town.